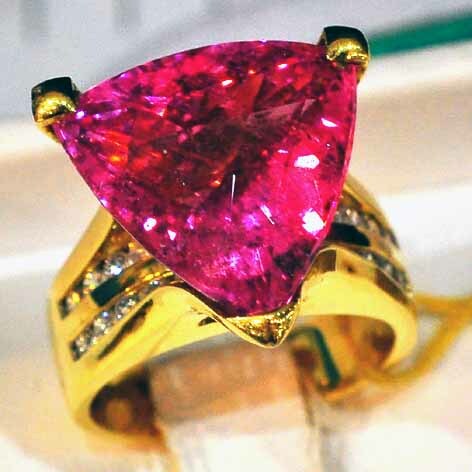 Pink Tourmaline is a member of the Tourmaline family and has a hardness of 7-7.5 on the Mohs scale, making it a relatively hardy stone. 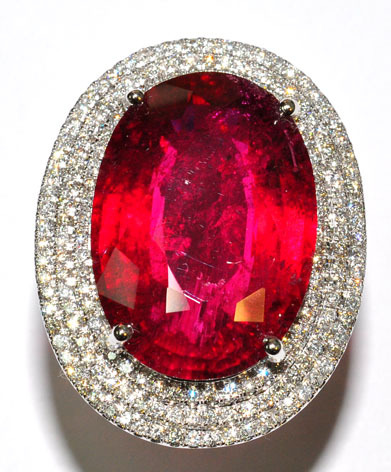 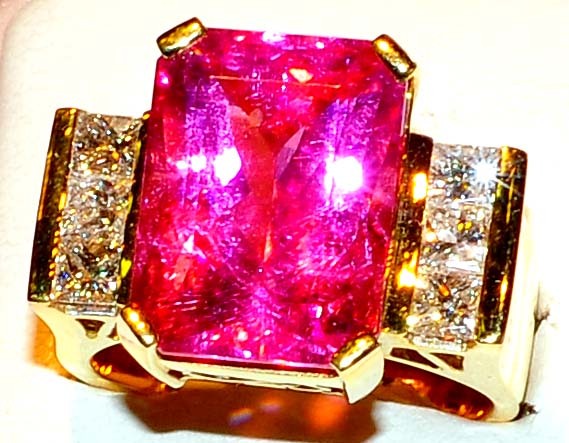 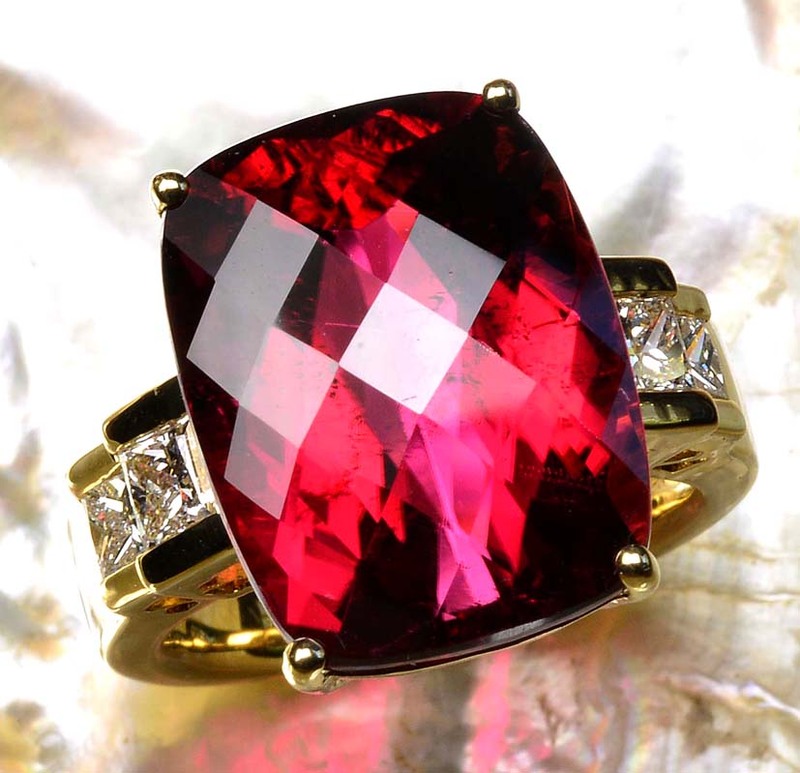 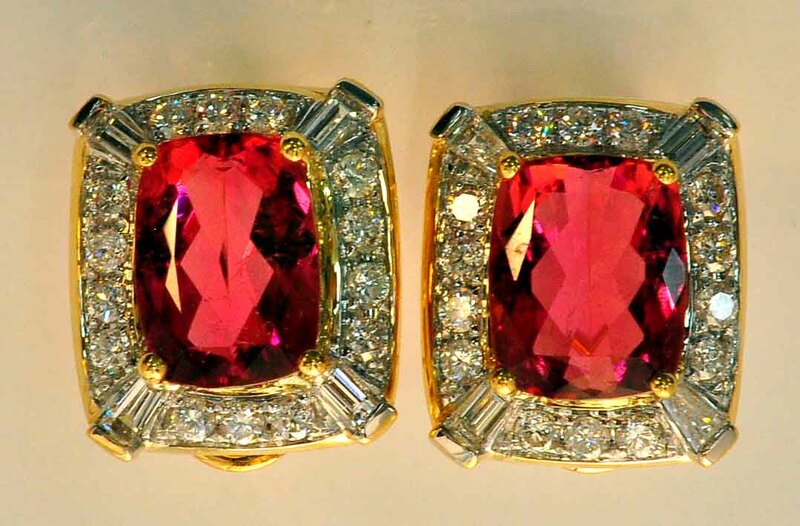 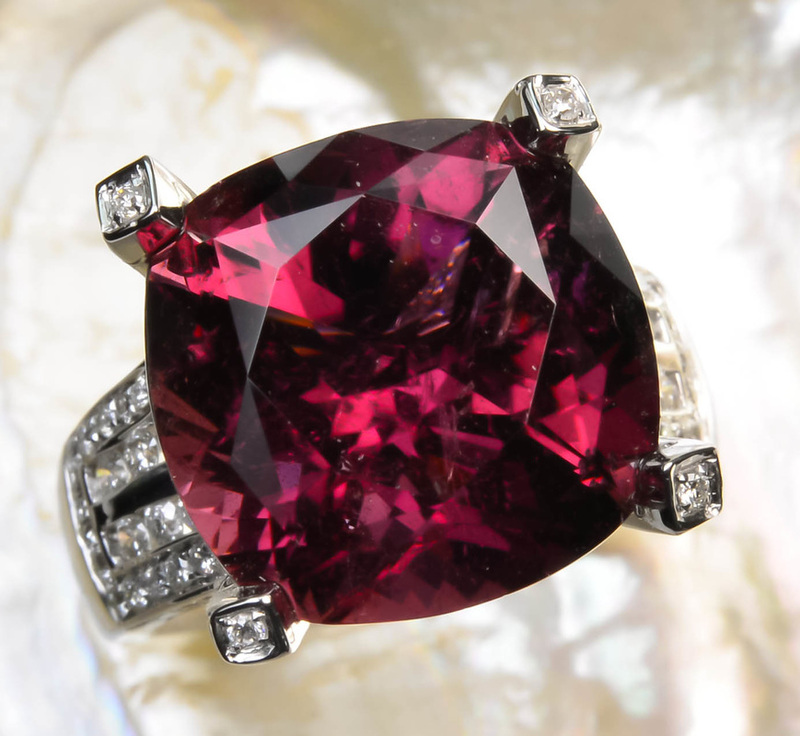 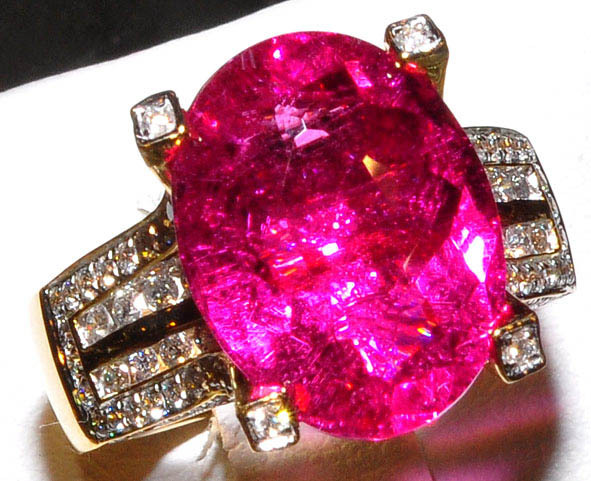 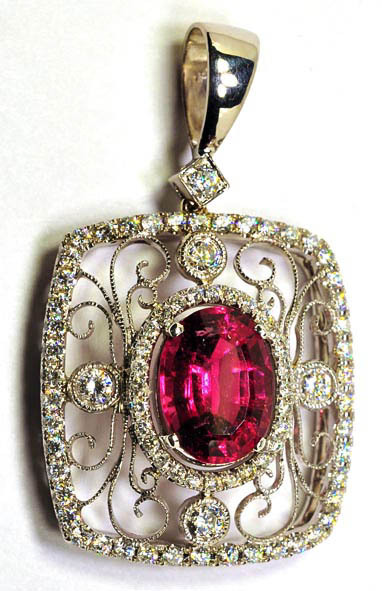 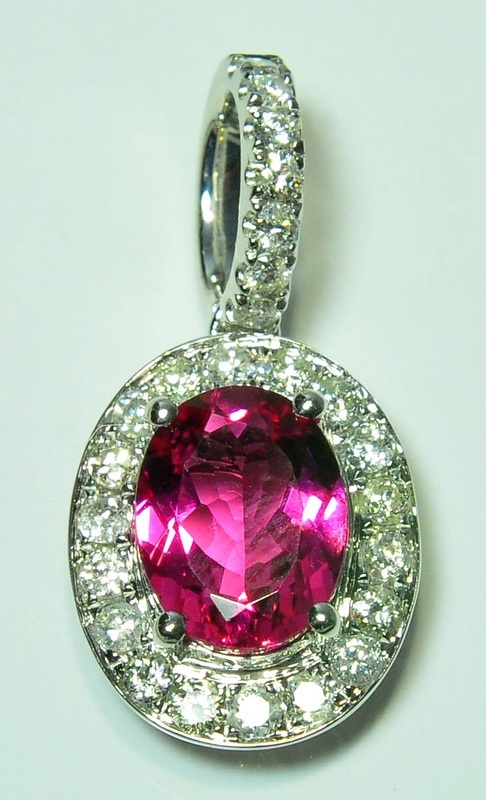 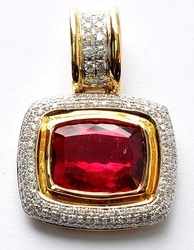 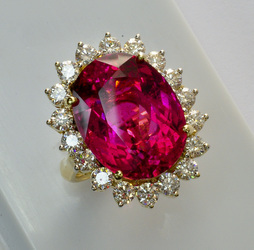 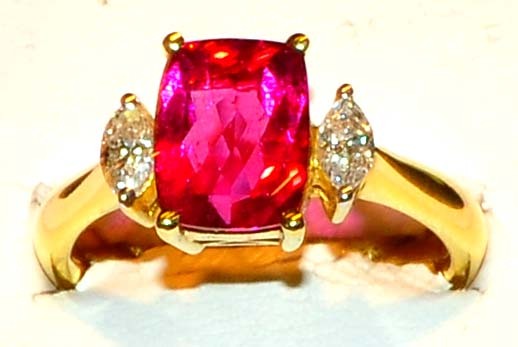 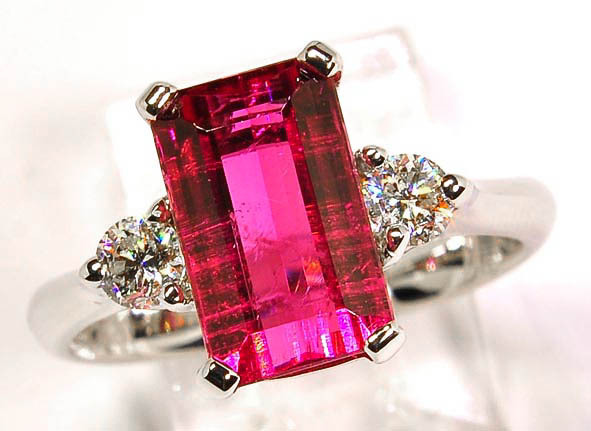 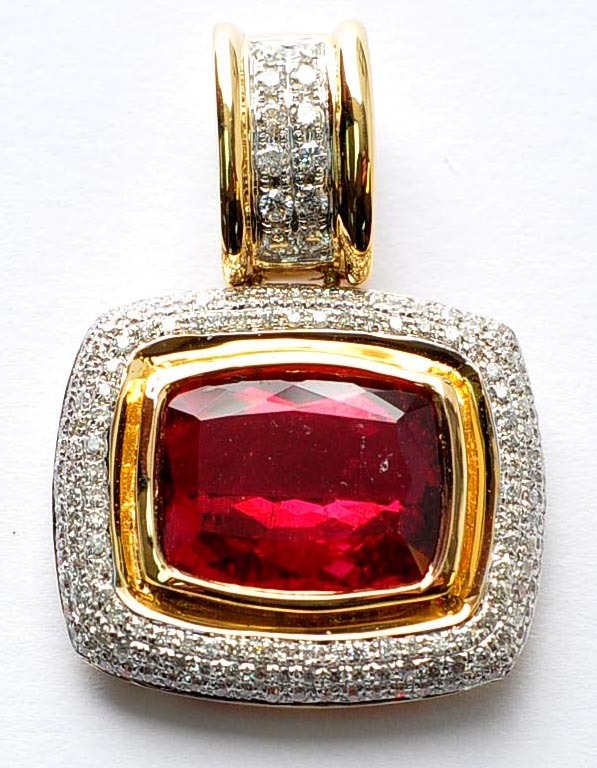 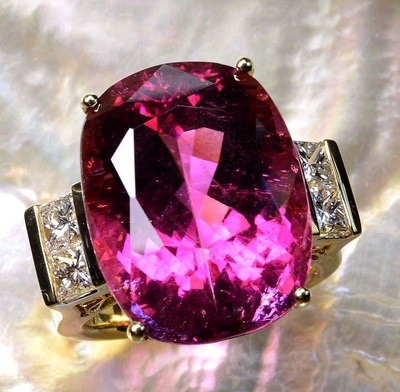 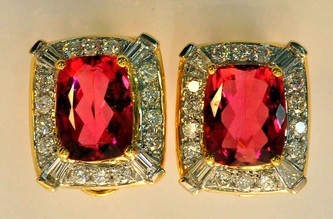 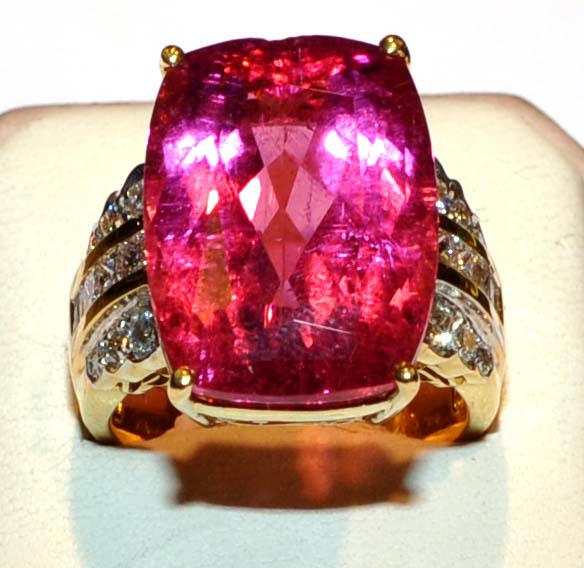 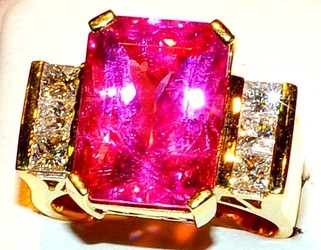 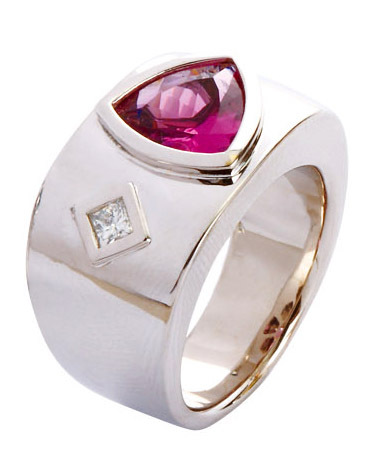 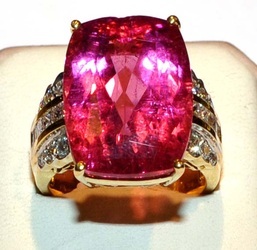 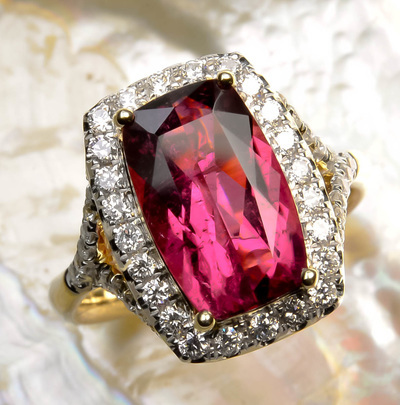 It is the birthstone for October, and comes in colors from light pale pink, to deep red color, which is called Rubellite. 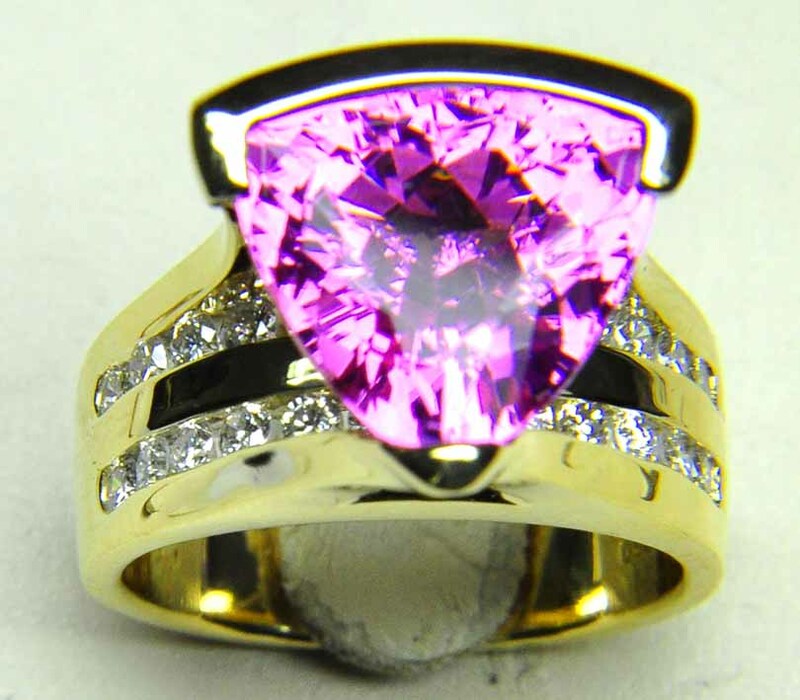 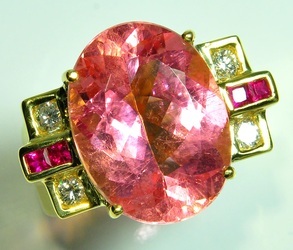 Pink Tourmaline is a Type 3 gemstone, which means that this material is usually found with heavy inclusions. 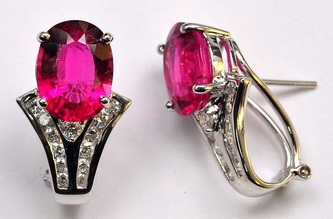 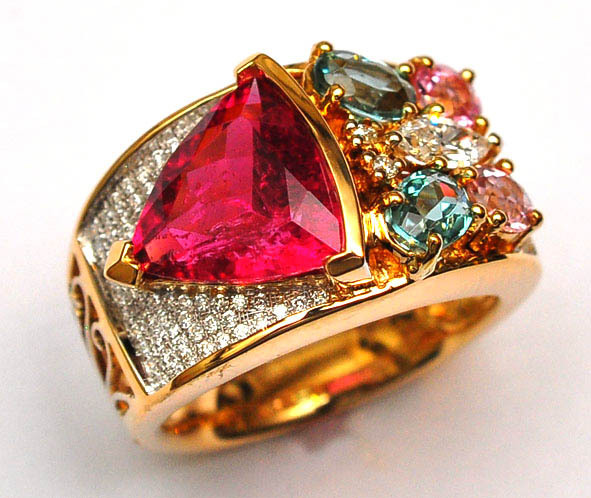 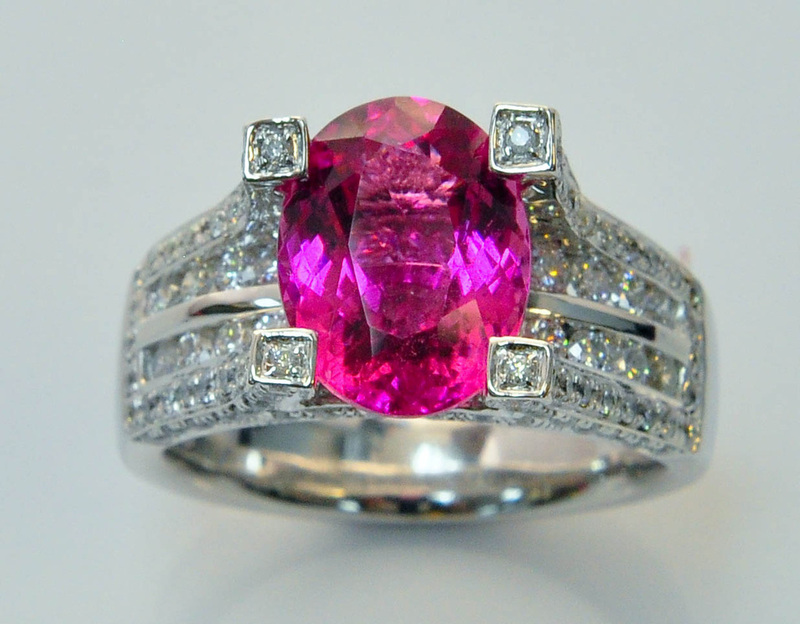 All of our Pink Tourmalines are top gem quality and are considered VS clarity and higher.